The Battle of the Little Bighorn is one of the best-known events in the history of the American West. 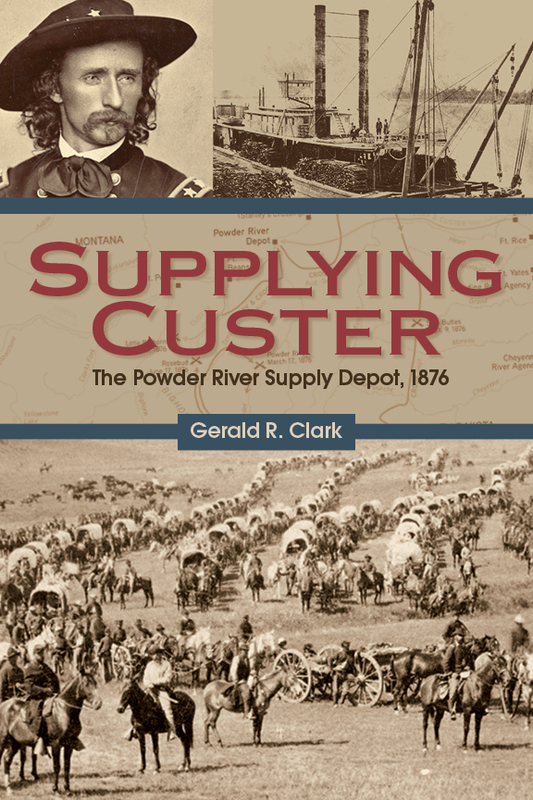 Questions surrounding Custer’s fate have been discussed and researched at length, but details about the transportation and logistics of military supplies have not been thoroughly investigated. Archaeologist Gerald Clark stumbled upon the remnants of a supply depot while surveying the area near the confluence of the Yellowstone and Powder Rivers. It turned out to have been established by General Terry during the Sioux War and utilized by Custer and part of the 7th Calvary. The book details the items recovered archaeologically, including ale and soda bottles, cartridges, packing crates, and a horseshoe and ceramic doll. It also addresses the army’s knowledge of this area and how the supply depot fit into the broader military campaign. This book connects archaeology and history to explore how the American military planned, maneuvered, and operated on the northern plains from the end of the Civil War through 1876. Gerald R. Clark spent thirty years as an archaeologist and cultural resource specialist for the Bureau of Land Management in Montana and Wyoming. While there, he helped facilitate the investigation of several Montana prehistoric and historic sites by universities, including the Mill Iron Site and Garnet Ghost Town. He retired in 2006.